Published as the cover story in Neue Luxury Fashion. Neue Luxury Issue 7, 2016. When 30 year old Yves Saint Laurent ventured to Marrakesh for the first time in 1966, he became so infatuated with the ‘red city’ that he often returned with his long term companion and business partner, Pierre Bergé, eventually buying a home that once belonged to painter Jacques Majorelle. It is in this Moroccan city that the legendary fashion designer and couturier would go on to envision some of the most memorable creations of his 40 year career. It seems fitting, half a century later, that the French-Algerian’s profound connection with his adoptive country is captured through a new museum celebrating the 21st century fashion icon. 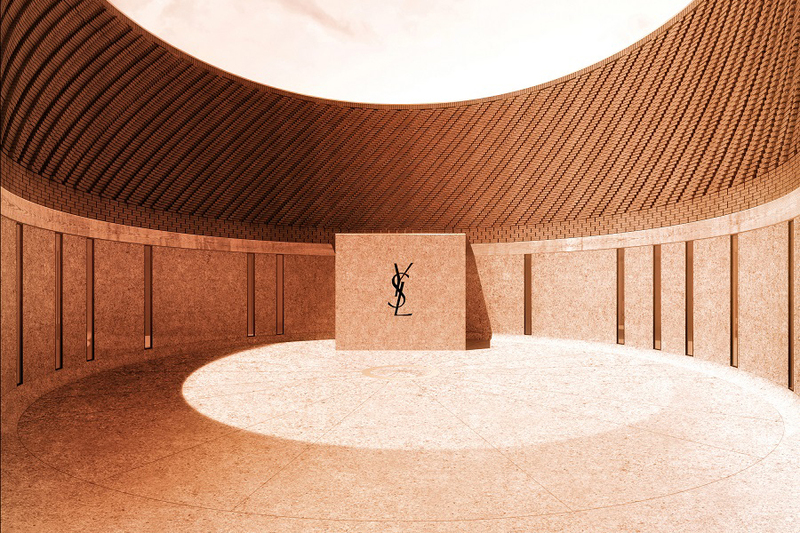 Launching in September 2017, Musée Yves Saint Laurent Marrakech (MYSLM) will house a permanent showcase of Saint Laurent’s work, as well as a temporary exhibition space, a 130-seat auditorium, a café and restaurant. It also houses a bookshop and a research library with collections of fashion, botany, literature, Berber culture and Arab-Andalusian history readings. The French architectural firm, Studio KO, were tasked with designing the ambitious 4,000 square metre museum after its founding architects Olivier Marty and Karl Fournier were hand picked by Bergé. Marty and Fournier have a strong legacy in fashion and leisure, having previously designed the Balmain flagship in New York and London’s Chiltern Firehouse, as well as Bergé’s holiday home in Morocco. The architects turned to the Fondation Pierre Bergé-Yves Saint Laurent—the commissioners of the MYSLM project—to pore over the extensive Yves Saint Laurent (YSL) archive, eventually coming up with a concept that saluted both the Moroccan spirit and the man credited for producing some of the most iconic collections in the history of fashion. Read the full feature in Neue Luxury. Image: Architectural renderings – Musée Yves Saint Laurent Marrakech (MYSLM). Copyright 2016 Studio KO– Yves Saint Laurent.